Upon entering, you are bombarded with information overload – straddling the wall is a chronology of the artist’s history from birth to death. This is a preparation for the tremendous survey show of Paul Klee’s work, documenting his historic career, which the Tate’s show articulates; displaying Klee’s versatility and historical importance to the modernist movement, expressed through some 150 artworks. 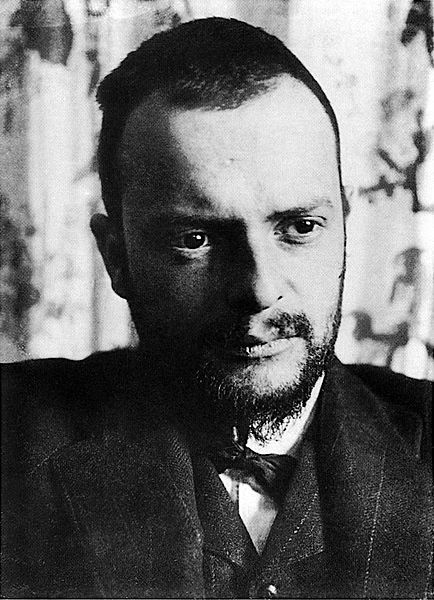 We are lead through Klee’s development – his intellectual thought process, his connection with Kandinsky and Franz Marc, and his term with the Bauhaus school of art. Though the narrative greatly favours Klee’s eccentric thinking, which is all brought together with the central display of Klee’s personal catalogue for his own works. Here we find the precise attention Klee bequeathed to his work – documenting their order of production for each year starting from 1911. This is an aspect Matthew Gale, curator to the exhibition, plays with by hanging the works in the order they were painted in. It is an shattering task, contemplating Paul Klee’s career – however, what becomes apparent is the induced exhaustion not due to what some have said about Klee being “curiously demanding” (M. Vaizey, Artdesk.com, 2013), but do to the scale of the show. This is possibly one of the most complete historical exhibitions to date on the artist – and its 17 rooms are overwhelming. It is a testament to Gale’s abilities in organising a event of this scale – yet its too much. Drawing on the fact that this is a historical exhibition one wonders, could the same effect been portrayed on a smaller scale? The Van Gogh in Paris exhibition at the Eykyn Maclean Gallery, while certainly could have done with more pieces of works – had to an extent a great effect for a historiographical prospective. With the demand on one’s attention by the show, it is understandable if you find yourself drafting through whole section unaware of the works. This will undoubtedly lead some to return, but with a £16 price tag per visit, only the most dedicated will find the time to come back. It is wonderful to observe the works of Paul Klee – and the Tate’s exhibition provides a comprehensive collection. However do not expect to view the whole story in one sitting. A Young Lady’s Adventure, 1922. Fire at Full Moon, 1933. ← IS THE WHITE CUBE RELEVANT TODAY?